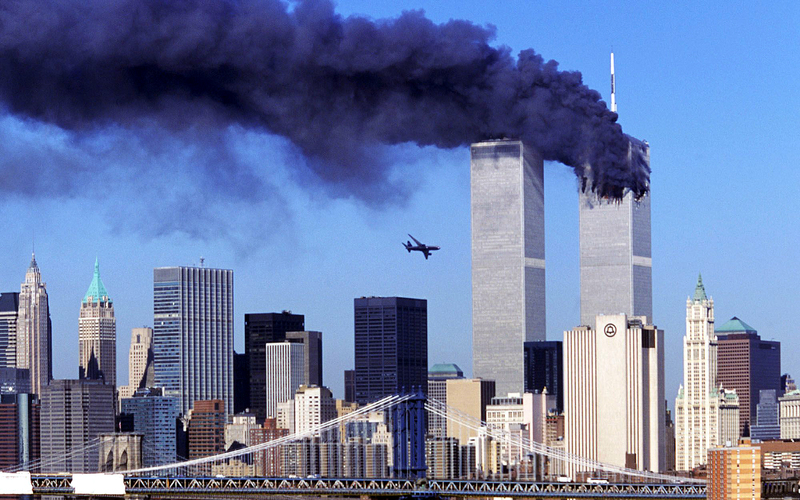 The following documents were declassified by various agencies, pertaining to the 9/11 terrorist attacks. 9/11 Ten Years After: Command, Control, Communications Remain an Issue [36 Pages, 421 KB] – This research paper reviews current emergency management capability to respond to significant incidents, both natural and manmade. In such incidents, multiple agencies must respond, manage forces, and provide critical support as a cohesive team. These organizations span the gamut of local, tribal, state, and federal levels of government and the private sector. They include the broad range of first responders, fire, medical, and police. The unity of effort needed to provide timely, efficient, and integrated responses can only be achieved through effective command, control, and communications (C3) within and among responding forces. A unified response requires interoperable communications among all agencies, at all levels; a mechanism to track all responding forces; and a common operating picture that fuses and displays disparate data. This paper reviews current national policies, procedures, and technologies for managing large-scale emergencies. It identifies challenges and opportunities for improvement. It concludes with recommendations for implementing a nationwide interoperable communications system that, along with an effective tracking system, will facilitate the formulation of a COP for first responders. Assessing the Effectiveness of Post-9/11 Intelligence Information Sharing [31 Pages, 377 KB] – In the wake of the terrorist attacks of 11 September 2001, the 9/11 Commission determined that intelligence related to the attack was not shared across the Intelligence Community (IC), and especially between the Central Intelligence Agency (CIA) and the Federal Bureau of Investigations (FBI). Specifically the Commission faulted the IC for being parochial, secretive, and delinquent in sharing important intelligence. Despite the 9/11 Commission’s recommendations, including the creation of the Office of the Director of National Intelligence (ODNI), and institutions such as the National Counterterrorism Center (NCTC), the parochialism continues and information sharing across the IC remains a critical problem. As the 2009 Christmas Day failed bombing of the Northwest Flight reminded us, the lack of IC sharing can have tragic consequences and that it still remains a work in progress. Wasted Lessons of 9/11: How the Bush Administration Has Ignored the Law and Squandered its Opportunities to Make Our Country Safer [54 Pages, 1.03 MB] – When President George W. Bush signed H.R. 1, “Implementing the 9/11 Commission Recommendations Act of 2007,” into law on August 3, 2007 without any limiting statement, it seemed that the unfulfilled security recommendations of the 9/11 Commission would finally be implemented. To ensure that they were, over the past year the Majority staffs of the Committees on Homeland Security and Foreign Affairs have conducted extensive oversight to answer the question: How is the Bush Administration doing on fulfilling the requirements of H.R. 1 (P.L. 110-53)? The Majority staffs of the two Committees prepared this report to summarize their findings.